This modern 2 bedroom, 1 3/4 bath condo is located in the heart of Montelago Village. It is conveniently located on the lobby level and overlooks two beautiful pools and courtyard. The fully equipped kitchen has seating for six. There is one king bedroom, one queen bedroom, and a queen sofa sleeper in the living room to accommodate sleeping for six guests. A combination washer/dryer is also included for your convenience. Please let me know if your preferred dates are not available as we also own another property in Viera that may be able to accommodate you. Check out some of our favorites soon to be yours!! Johnny Macs Pizza and wings- 842 S Boulder Hwy Henderson; Locals favorite!! Sonrisa Grill- 2 minute walk from your unit!!! Mexican fare with daily specials!!! Railroad Pass Casino- Rt 95 on way to Boulder City- not fancy but looser slots!!! Electric Boat/canoe/kayak/ rentals- downstairs from unit- See the entire lake!!! Red Rock Canyon scooter tours Check groupon specials!!! Casa di Amore- Tropicana Ave Las Vegas- Retro Italian dining Sinatra would like!!! We were very comfortable staying here. The first impression was, WOW, as every thing was clean and attractive. The kitchen was stocked well; cookware, dinnerware, silverware, and working small appliances. There were working TVs in both bedrooms and the living room. There was closet space and hangers for clothes, plus drawer space as well. It was great to have the washing machine, but was unhappy to find out when we arrived that the dryer portion of this one unit machine did not work well (ie, took hours to dry one small load)! We also learned that the garage allows parking for one per unit, first come basis, but that did not mean each unit always got a space in the garage. We found that on the week ends,if we came back later then 7:00 pm,we found no space in the garage,and were lucky to find one close outside. Many vehicles did not display passes in their vehicles. Thank you for the review. We are happy you enjoyed your stay. It is true that the combination washer dryer units do take considerably longer to dry but that is the design of a ventless system. There is also a laundromat in first floor but we find with proper planning the unit in condo is much more convenient for guests. The underground garage is always most convenient but during peak times there are not always available spaces. That is why the HOA has also contracted for spaces in the adjacent parking garage as well when shortages arrive. The HOA try’s to be vigilant about non permitted vehicles and has issued violation notices as well as towed vehicles on occasion for unauthorized parking. We hope you stay again in the future. We enjoyed our stay here. The condo had everything we needed for the week. She even had sample size shampoo and conditioner in the bathrooms. Kitchen had all the basics for cooking. The washer/dryer came in very handy. The condo was conveniently located for the activities (hiking) we wanted to do. We were there right after Christmas so it was very quiet around the lake, restaurants, and shops. Too cold to swim, but the pools looked nice. We would definitely stay here again. 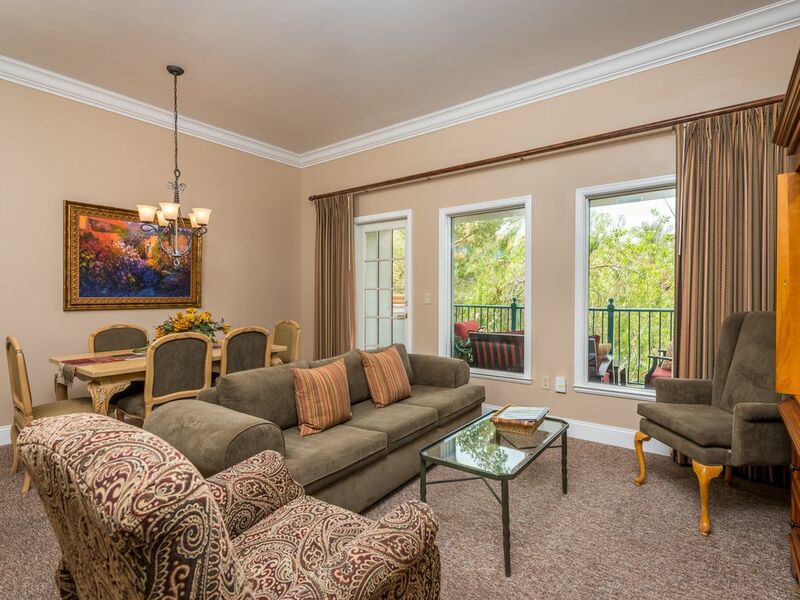 Nancy's spacious, clean and comfortable condo is perfect for 2 couples. We particularly appreciated the quiet location being 20 minutes off the Las Vegas strip. We enjoyed the ambience of the lakeside village which included creative Halloween decorations, a live band, several restaurants, as well as many picnic tables to sit and enjoy the view. We took advantage of the gym as well as the quiet streets for runs and walks. There are pools but unfortunately they were closed. We learned you can use a pool in the next building. Nancy was excellent with responding to questions. We would highly recommend renting this condo! We loved staying in this area of Las Vegas. The condo had everything we needed, the grounds were beautiful, and Nancy was very accommodating. 10/10 would definitely stay again! We had a good time and vrbo was just right for us. Lake Las Vegas is a beautiful lakeside oasis in the desert. It is peaceful and serene but close enough to the famous Las Vegas strip to provide action and excitement if desired. Within walking distance are cozy shops and great restaurants. There is an on site marina where you can rent a variety of watercraft to enjoy the scenic lake. Water sports abound at nearby Lake Mead Recreational area. Take in a tour of the Hoover Dam or the beautiful Red Rock Canyon. The possibilies are endless! There are no refunds given for early departures. The owner is not responsible for any changes to the property made by the homeowners association (i.e. pool maintenance), and no refunds are given for same. Cancellation/refund policy of booked reservations 1-29 days: i. Reservations cancelled prior to 60 days before check-in will be refunded 100% of all deposits, security and cleaning fees. ii. Reservations cancelled 31-60 days from check-in will be charged 50% of original reservation quote and refunded100% of cleaning and security deposits collected. iii. Reservations cancelled 30 days or less from check-in will be refunded 0% of original reservation quote and refunded 100% of cleaning and security deposits collected. Cancellation/refund policy of booked reservations 30 or more days: 1. Reservations cancelled prior to 90 days of check in will be refunded 100% of all deposits, security and cleaning fees. ii Reservations cancelled 61-90 days of check-in will have a $500 charge deducted from total rental charge with balance of all pre-paid deposits, security and cleaning fees refunded. iii. Reservations cancelled 31-60 days from check-in will be charged 50% of original reservation quote and refunded 100% of cleaning and security deposits collected. iv. Reservations cancelled 30 days or less from check-in will be refunded 0% of original reservation quote and 100% of cleaning and security deposits collected.